You can enter barrel racing contests, reining contests, and beauty contests. You can also choose from like 10 different breeds of horses and you can name your horse. 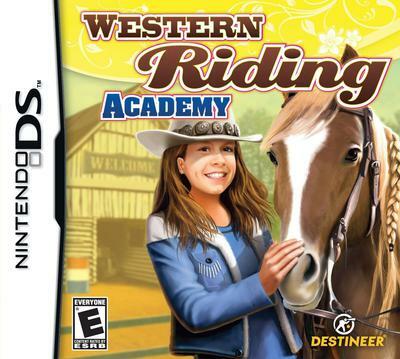 So in my opinion you should really go out to a game store and purchase Western Riding Academy! It is really fun and you won't regret buying it!! This game sounds sooooooooooooooo fun i should ask my daddy to buy it for me!!!!!!!!!!!!!! i love this game i can barrel race and do reining. i love to ride in the fields. in barrel raceing ive won 1st place all the way to world champship i havent stoped playing it ever since i got it.